He’s particularly interested in the unglamorous stretches of the country that the economy has left behind. 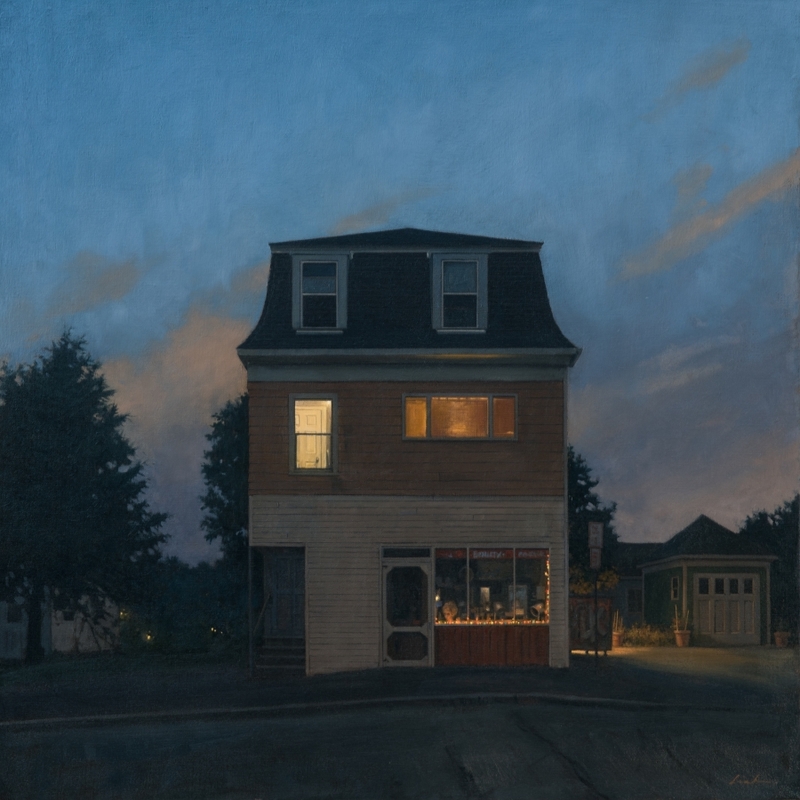 Looking at his paintings, you can imagine the kinds of stories going on inside those lonely houses and empty corner stores. A new book, “Night Stories,” pairs paintings by Frederick with short stories inspired by them. The authors include Dennis Lehane, Tess Gerritsen, Anthony Doerr, and Andre Dubus III. For Studio 360, I went on a drive with Frederick to find some of the places that have made their way into his paintings. And I got to speak with Richard Russo, Elizabeth Strout, and Lily King about their experience writing fiction based on his paintings. I produced, sound designed, mixed, and composed the score for this piece.